Apple’s design team went to extreme lengths when redesigning the new MacBook to be more portable than ever. The most drastic move was to toss out the fan and extra ports for a super-tiny logic board. 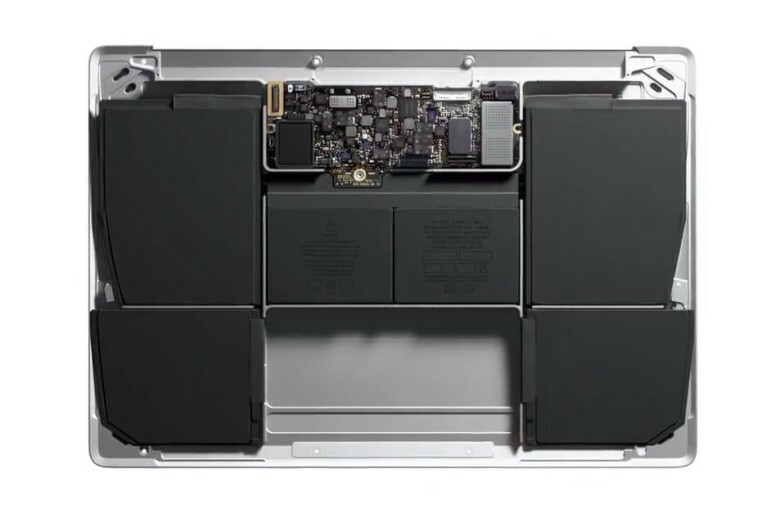 The new MacBook logic board is two-thirds smaller than any board Apple’s designed before. It’s the highest-density Mac logic board yet, but really, it’s more like a super-iPhone or iPad logic board. 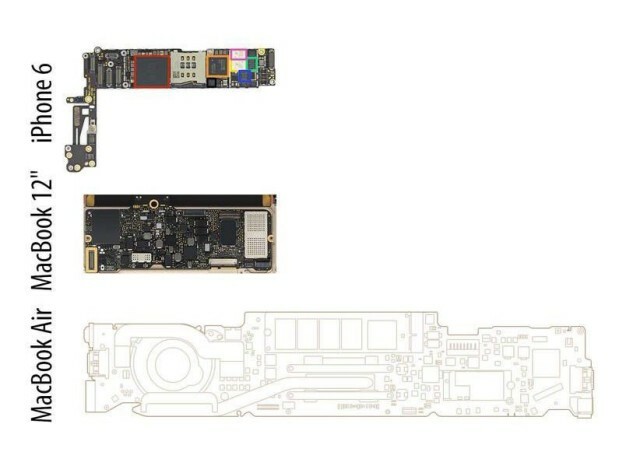 Put side by side with the iPhone 6 logic board, the new MacBook logic board is barely twice its size. Comparing the new MacBook board to the MacBook Air board, you can see where Apple’s engineers delivered a ton of innovation. Essentially, if you cut off the MacBook Air board’s left third (mostly fan) and right third (mostly antenna-related), you’d have a logic board just a little bigger than the new MacBook’s. Squeeze all the chips together, add 35 percent more battery capacity, and you have what’s bound to be the hottest ultra-portable notebook of 2015. It’s basically like a really big retina iPad with a nice keyboard attached. For a lot of people, that sounds pretty damn nice, even at $1,299.